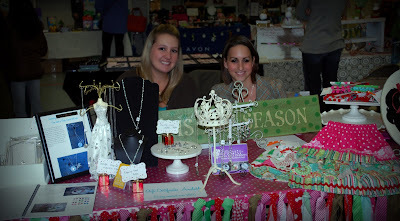 Last Friday I was in a Christmas boutique with my friend, Heather. It wasn't too busy but we both had a handful of good sales. 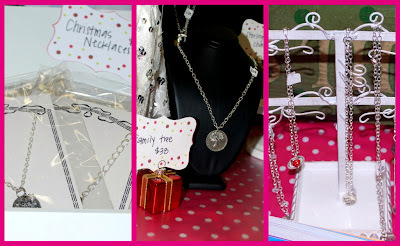 It didn't really matter how much we sold, though - it was a lot of fun sharing the table together! Do you love the silhouette of Leila?! If you want one of your own cutie pie, you can now get one! Just go here! PS - please don't forget that I will be closing the shop tomorrow afternoon. I may open up after the weekend, with a handful of pre-made items, but NO MORE CUSTOM ORDERS WILL BE TAKEN UNTIL AFTER THE NEW YEAR! I'm going to take some time off to relax, catch up and enjoy Christmas season! how fun!! 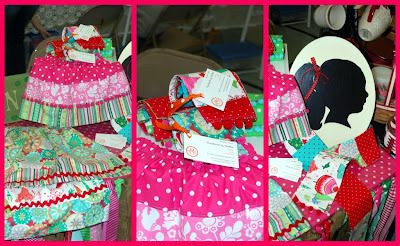 what cute stuff....i love that table cloth! ooooh! 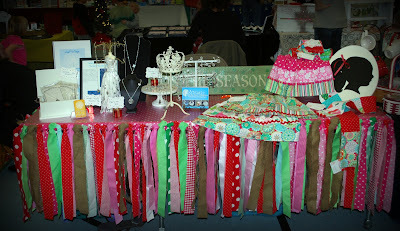 The whole table looked amazing...I would have had to just take it all home! :)...and I would have to "borrow" that cute sign from my mom too! Great table!!! Such fun stuff!